Earlier I posted about Caudalie’s Moisture Mask, which is a dream for my sensitive skin. 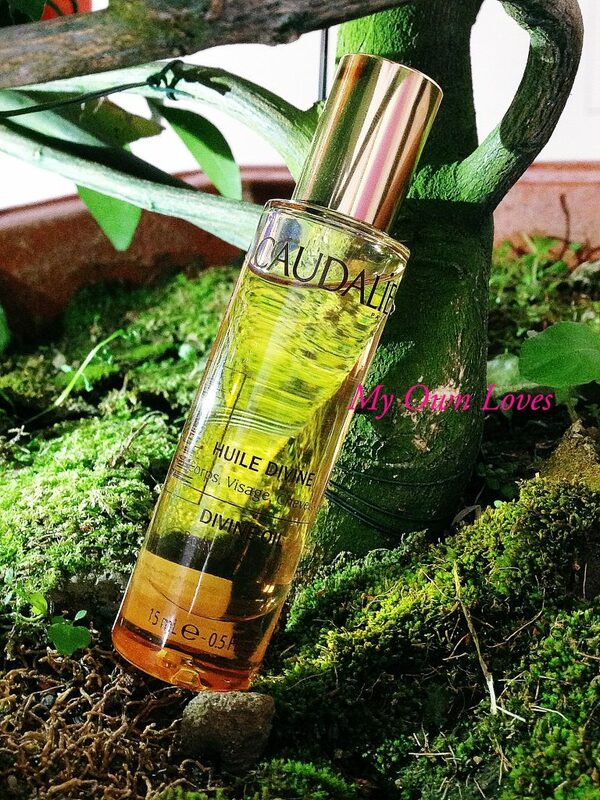 Continuing on with my French skincare obsession, I picked up a small bottle of Caudalie’s Divine Oil a while back to try. In winter, a good body oil is a godsend. This didn’t disappoint. Caudalie’s Divine Oil is made from a blend of all the good oils – Grape-seed Polyphenols as an antioxidant, grape, hibiscus, sesame and argan. Grape oil is known for rejuvenating and hydrating, Hibiscus oil for retaining moisture, Sesame oil for its moisturizing and softening qualities and Argan oil for restoring the skin’s condition and maintaining it. I was first sold from the ingredients alone. Given it’s a dry oil, I was pleased to find that Divine oil absorbs quickly, is light and doesn’t leave a sticky residue. I initially bought it for the dry winter months but I can see it will still be useful during the warmer months. It has a lovely scent that’s quite natural and luxurious. Initially, you get a slightly strong vanilla and musk scent but when it settles down, the floral notes emerge. 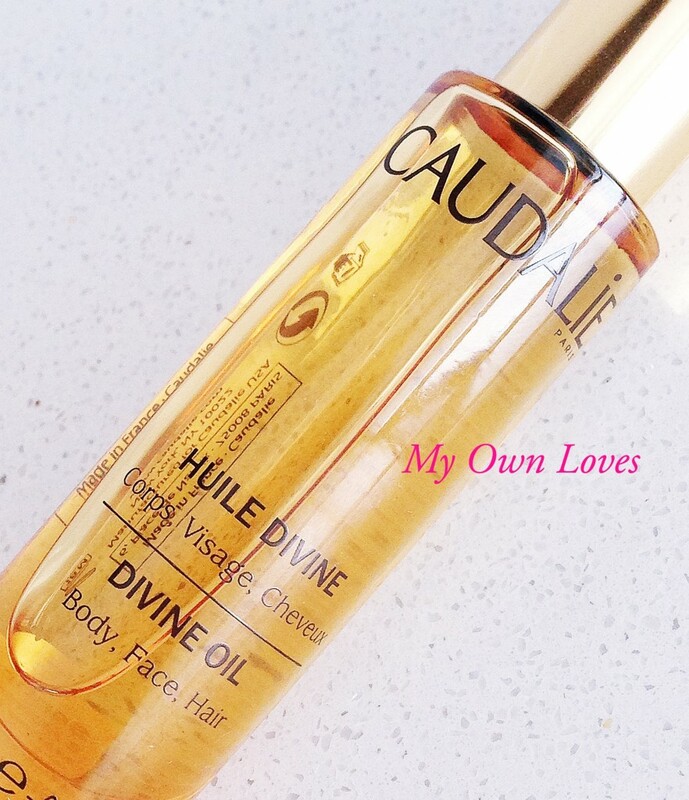 Divine oil is a multi-tasking oil meant for face, body and hair. I have very sensitive skin that has rejected many products, so when I find a product that doesn’t irritate my skin and improves it’s condition, it’s a keeper. This is on my “keeper” list. Like all Caudalie products, this doesn’t contain any parabens and artificial ingredients too. I use it for my body and hair. This product makes my skin feel smooth and hydrated. I like to use this on my body after my shower before bed so it can absorb while I sleep. I also use it on my hands, cuticles and neck. Sometimes I mix it with my usual moisturizing cream for a heavier combination. It leaves a nice sheen on my skin afterwards but doesn’t make me look like some cheesy suntan oil ad. A drink of water to my parched winter skin. For hair, I use this before shower as a quick mask. Some goes onto my ends post shower to prevent split ends and tame flyaways. A little goes a long way. According to Caudalie, this oil can be added to the bath as well. Do be careful when getting out of the bath tho! I really like your pictures! You have a great blog!